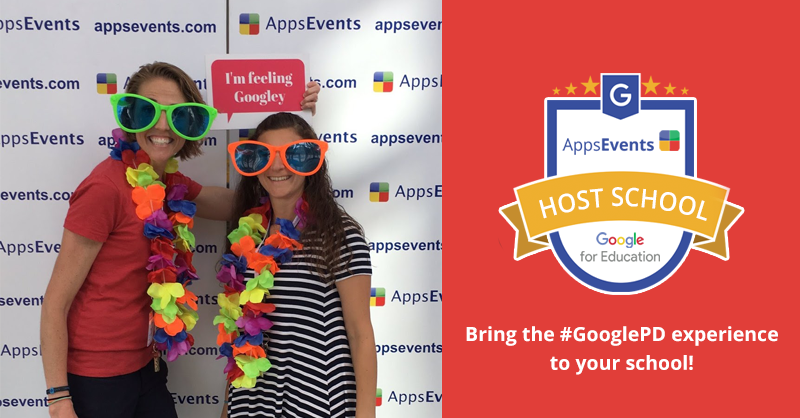 Home > AppsEvents news > St. Julian’s School to Host 1st Google Cloud Camp in Portugal! 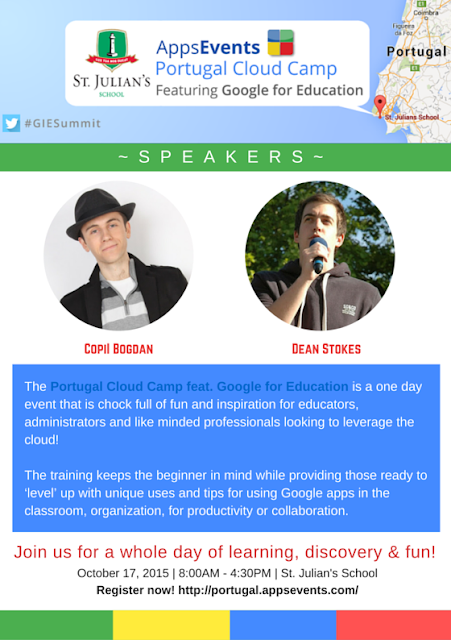 St. Julian’s School to Host 1st Google Cloud Camp in Portugal! St. Julian’s School in cooperation with AppsEvents is proud to be hosting a one-day Cloud Camp featuring Google for Education on October 17, 2015. It will be a truly world class PD event. Why attend a Google Cloud Camp? 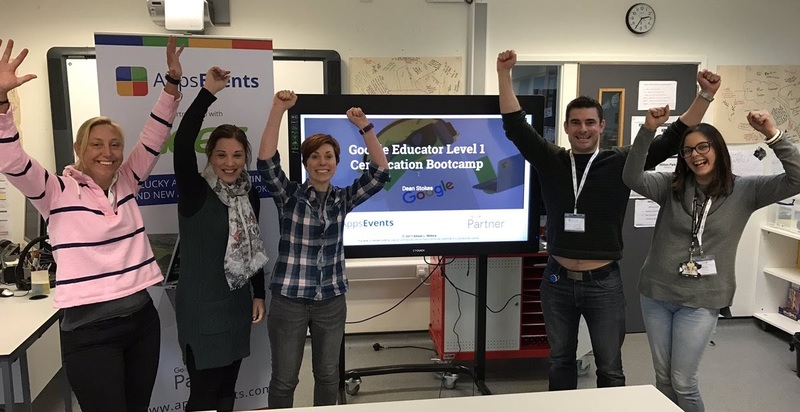 Google Apps for Education is a powerful suite of tools that can enhance and support 21st century learning and the Portugal Google Cloud Camp is a fantastic learning event to support classroom teachers, school leaders and school IT staff. The Cloud Camp features a curriculum focused on authentic and valuable ways to use Google Education Tools in the classroom. Beginners will leave equipped with powerful skills to use the Google tools to facilitate learning in an efficient and engaging manner and experienced users will finally learn smart ways to use Google Docs and Drive, YouTube, Scripts and more. If you are looking for basic training for apps or are unsure of ‘what else’ you can get out of it, this program is for you. 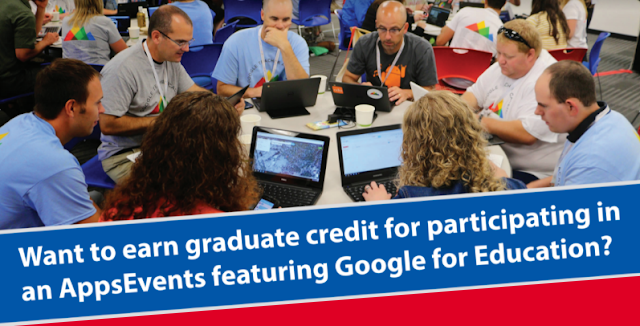 Cloud Camp is the ultimate ‘one day’ experience for learning Google Apps for Education. The training will also help prepare the delegates for the Google Certified Educator qualifications. The Cloud Camp will feature truly world-class speakers flying in from around the world and all our speakers are both practicing educators AND leading Google EDU Experts. As delegates you will also be able to test drive latest technologies on the market such as newly released Samsung tablets especially developed for the education market and even win a tablet in the end of the cloud camp! Please do not miss the “must attend” Google event this year, CLICK HERE to sign up for the Cloud Camp.